Hello everyone! 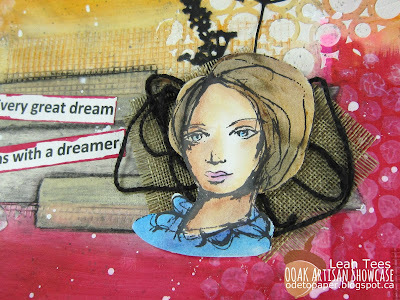 I hope you are all enjoying your summer ;) I have a fun mixed media page for you today featuring Dina Wakely and Tim Holtz products. 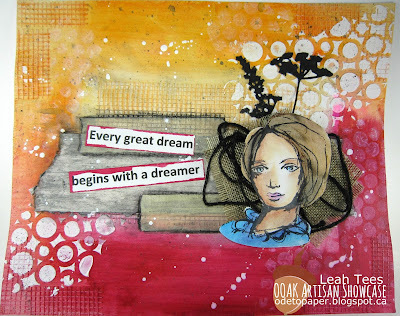 I created this art journal page by using the overspray from another project and adding to it. I used Dylusions Cherry Pie and Tim Holtz Distress Spray in carved Pumpkin for the background. 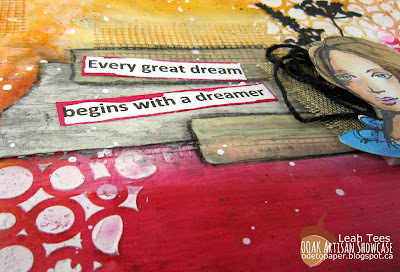 I added some gesso through a stencil, and stamped some white acrylic paint on with bubble wrap. The face image is from Dina Wakely, and I colored it in with my water soluble oil pastels and my finger. I had some die cut wildflowers from Tim Holtz that I colored black and add behind the image. I also added some masking tape and grunged it up with my charcoal pencil (thanks Deedee lol). I found the sentiment online and printed it out on my printer. 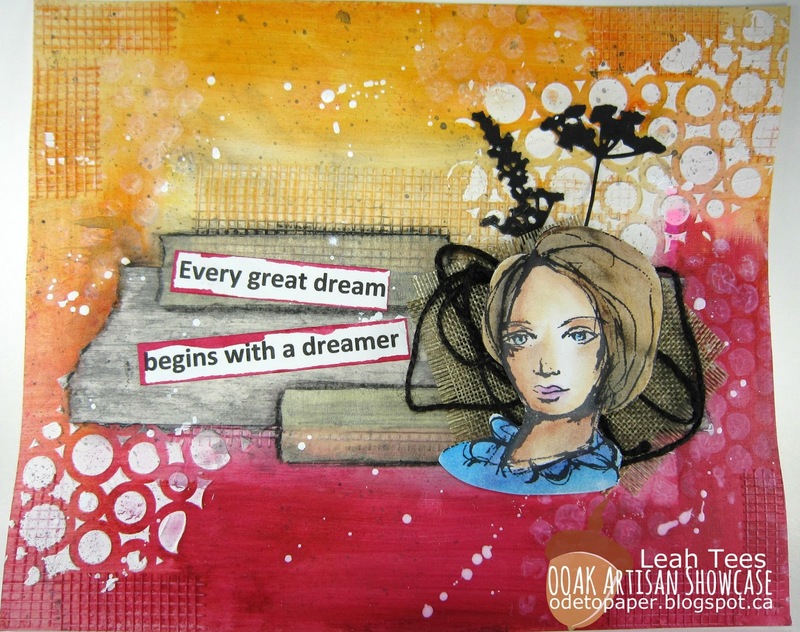 You can find Leah's art on the web!